"Technology is best when it brings people together." a website. Our WordPress Hosting guide can help. block will be a matter of how. Learning WordPress is not as complicated as you may think. All you need is to follow our video tutorials and our step-by-step instructions to create a fully functioning and well-designed website. Which hosting plan do you select? Will you have support along the way? should know, and loads more. how to take the reins for yourself. Read on if you are ready to start learning everything you need to know about the world's #1 choice for getting online with our WordPress beginner guide. with hardly any help along the way. moment with our WordPress guide. WordPress is a content management system, or CMS for short, which means that while you provide all the content that makes up your site (such as images, text, videos, etc. ), the platform does all the coding and organizing for you — so you don't have to be experienced to build a beautiful, functional website. Since WordPress is open source, that means you're free to modify and build upon its software. Thousands of volunteers the world over work to improve the platform every day, and it's free to use without paying a licensing fee. Since its birth in 2003, WordPress has evolved from a simple blogging tool to the most popular content management system on the web, running over a quarter of the world's websites. May 2003 WordPress is launched by college freshmen Matt Mullenweg and Mike Little. Aug 2006 The first WordCamp is held in San Francisco, CA. Nov 2011 WordCamp grows to 52 events worldwide. Dec 2011 WordPress.org claims 22% of all new and active domains. Dec 2012 The WordPress.org community grows to 20,000+ people. June 2014 25 million downloads. Oct 2014 WordPress is published in 120 languages. have the inkling to build it. may as well be invisible. and keeps your costs down. Whether you're building an online store or a private WordPress blog, this platform provides thousands of themes and plugins to make your site look and function exactly how you'd like. Most WordPress themes can be set up and customized with zero coding required. With an incredibly intuitive dashboard, no WordPress developer is necessary for you to make the updates you need. 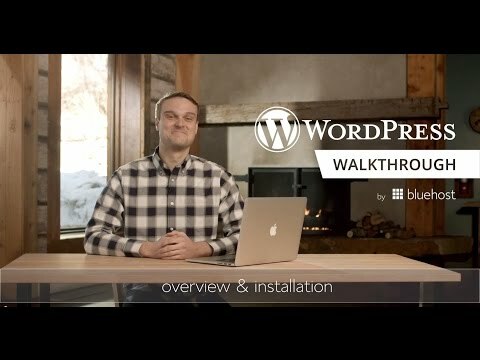 It only takes a few minutes and Bluehost's one-click install to use WordPress. That way, you can start creating your website as soon as you have the inkling to build it. A website that's not responsive may as well be invisible. With WordPress, most themes are optimized to work well and look good on all types of devices. WordPress is open source, which means its source code is available to you free of charge. You still need a place to store and run the code, but the code itself is free and keeps your costs down. From updating your site on the WordPress mobile app, to assigning specific permission levels to your site's contributors — WordPress has all your needs covered. part of the building process. More colors and images? Check. Templates are easily modified too. solution for your unique website. many more) capabilities to your site. but you need to pay for a web host. Hosted with WordPress Hosted with your web host of choice. If you're interested in creating a simple, no-frills blog, WordPress.com is a great solution — but you'll be limited in your ability to tweak its appearance and functionality. If you want to take full advantage of all WordPress has to offer — such as a personalized domain name, plugins, custom themes — WordPress.org is clearly the way to go. You simply need to install WordPress on your own hosting server, like the kind you get at Bluehost.com. This gives you free rein to personalize and grow your site exactly how you'd like. and it costs you next to nothing. In this video you'll be learning how to log into your administration area — where you control everything about your website — and use the admin tools. The instant you install WordPress, you have a fully functional website — all you need to do is add content and choose a design. 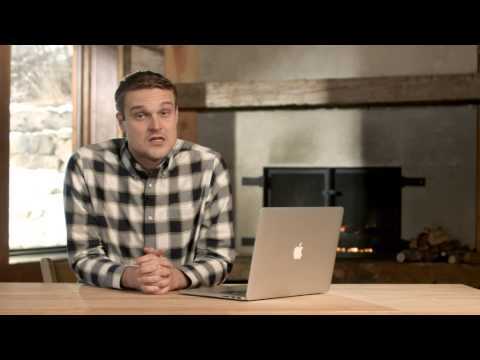 This video will show you how to add pages to your website. This video will show you how to add posts to your website. Posts are similar to pages but are usually used for blogs, where new blog posts push older ones down the list, keeping your site fresh and interesting. This video will explain the difference between categories and tags and will show you how to effectively use them on your WordPress site. 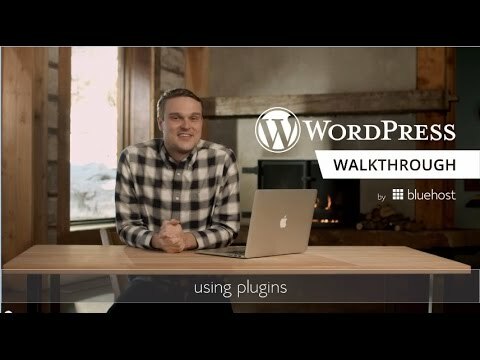 Now that you know how to add content, this video will teach you about adding functionality through plugins. Plugins automatically add features like contact forms, image galleries, shopping carts, discussion forums, and just about anything else you can imagine to make your site a useful, dynamic experience. Themes are design templates that you can assign to your website to instantly change its appearance, and sometimes its functionality as well. In this video, you'll learn how to choose and install themes, and how to make a few simple customizations as well. If you're a business owner, you probably have more important things to do than manage the site, and would rather assign that to one or more of your employees. If so, then you'll want to create user accounts for them. 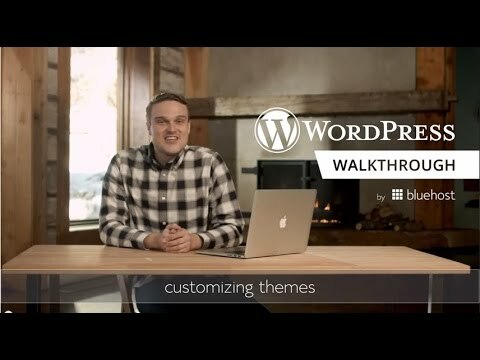 This video will explain the five types of WordPress users and help you decide which are best for your business model. 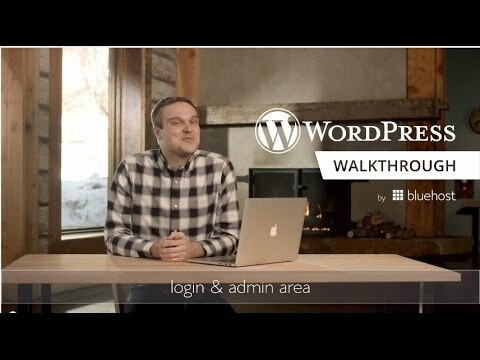 Congratulations on finishing this Basic WordPress tutorial series. You now know everything you need to create a beautiful and functional website. But it doesn't end here! This video will explain five things you should keep in mind as you go forward. 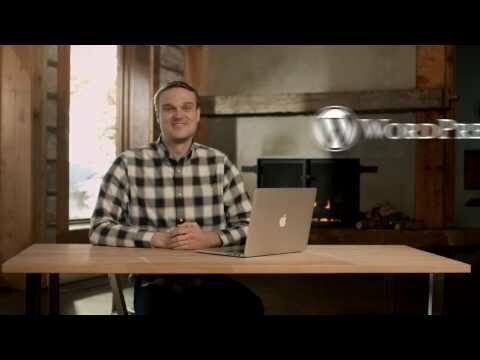 This series of WordPress tutorials will walk you through everything you need to set up and operate an effective website. It's much easier and quicker than you anticipated, and it costs you next to nothing. as you enter the world of WordPress. look in terms of layout and style. The first screen you see when logging into your WordPress account. This is where the magic happens — you can quickly access all your site's content, user permissions, account settings, plugin management, and more. A Google-powered service that gives you insight into 1) the performance of your website (such as how long visitors stick around, what pages are most popular, etc.) and 2) the nature of your visitors (such as geographic location, traffic sources, etc.). Google Analytics is a popular plugin that can be added to your WordPress account. and is the language in which your website is written. This "hidden" code can take months to learn and is one of the reasons so many people use a content management system, such as WordPress, to build their site as it saves them from ever having to learn code. Any software that is intended to harm your computer system, whether it's a virus, spyware, worm, or other form of harmful bug. Any images, videos, or recordings that you upload to be used on your WordPress website are kept in the media library, accessible through your dashboard. Any single page of content that lives on your website. Pages typically have their own place in the navigation and common examples include the "About Us", "Contact Us, etc. sections of your website. A permanent link that always directs visitors to the same page. In blogging, for example, much content is posted directly on the homepage, pushing older posts down. Once these posts are archived, a permalink provides an alternate and permanent way to view the post on its own separate page. As opposed to a page, a post (in WordPress terms) is specifically relevant to blogs and make up the majority of their content. Every time you publish a new content entry, this is considered a post. If you're starting an online store, an SSL certificate is necessary to reduce the risk of your customers' credit card information (and other private data) being stolen. Stands for Search Engine Optimization. This is the strategy of increasing the amount of traffic to your website by boosting its rank on search result pages. There is no exact formula for how to rank higher, but there are plenty of agreed-upon tactics that are known to help. Allows you to group related blog posts together based on their content, such as "recipes", "travel tips", or "products I love". A web host stores the files that make up your website on high-powered computers, called servers, so you don't have to. Hosting your site on a server keeps your website working 24/7 and connected to the rest of the internet. 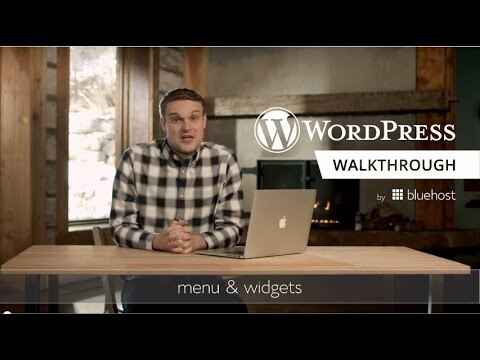 Widgets, like plugins, add functionality to your website — specifically on your sidebar. Examples of widgets include a calendar, search bar, tag cloud, and more. Bring your blog to life with easy-to-manage dynamic content. Custom layouts, themes, plugins, and more can be easily added to provide the creative flexibility you need. Plus WordPress is SEO-friendly to ensure your blog is found by the right people. Go above and beyond your clients' expectations, no matter their request. WordPress provides unlimited templates, plugins, and other resources that allow you to hand over a beautifully designed yet easily managed website. Take advantage of the huge open source community to help tackle any roadblocks you encounter along the way. Developers will appreciate the flexibility WordPress offers. That's because the ways you can extend it are nearly endless. On top of that, creating a custom plugin is incredibly easy. WordPress is not just a blogging solution. It's a powerful content management system designed to work with the best shopping carts and online stores in the world. Taking credit cards and processing orders will be a breeze, plus choose from a myriad of themes that will help make any store look vibrant and drive performance. Your site doesn't have to be complicated to communicate to customers. WordPress has a simple dashboard that makes updating your menu, hours of service, or company blog a breeze. Find and tweak a template to match your brand and add professionalism to your company in no time. We'll walk you through it. What is the difference between WordPress.org and WordPress.com? With WordPress.org, you must host the site yourself — meaning you download the WordPress software and install it on a web server. When you use WordPress.com, however, the hosting is provided by WordPress. How do I create a blog with WordPress? It's easy! Use this step-by-step guide to get your WordPress blog up and running in five minutes. How can I drive more traffic to my WordPress site? One of the best ways to get more traffic is to focus on search engine optimization. SEO will help your site show up higher on Google's results page, meaning more potential customers will find your site when they type in related keywords. If you need help putting together an SEO strategy, give Bluehost a call at 855-637-7766. Is WordPress right for my type of site? Short answer: yes! WordPress is an ideal solution for a wide range of sites. Whether you're looking to create a blog, build a site for your business, or start an online store, WordPress is the right tool for the job. What makes WordPress different from other content management systems? Community-driven innovation. When you build your website with WordPress, you're leveraging the knowledge and experience of thousands of WordPress experts around the world. That makes WordPress secure, scalable, and responsive to your needs. And it's easy to get started! Since the user interface is simple, novices too can immediately build and manage a website. And if you're a pro, advanced features and increased flexibility can easily be unlocked by adding plugins. Do I have to know how to code to build my site on WordPress? How do I get started with installing WordPress? First you'll need to get space on a server to install WordPress. Hosting is available for WordPress.com users on WordPress's servers. If you're using WordPress.org, you can rent space on a server from a web hosting company like Bluehost. In addition to offering a one-click WordPress install, we've been recommend by WordPress for more than ten years. If you're ready to get started, follow this step-by-step guide to set up your WordPress website. And it's easy to get started! Since the user interface is simple, novices to can immediately build and manage a website. And if you're a pro, advanced features and increased flexibility can easily be unlocked by adding plugins. How to Become a WordPress Contributor?